Kingspan Light + Air | CPI Daylighting is an award-winning innovator of translucent daylighting solutions for high-performance building envelopes. We continually innovate so clients never have to choose between efficiency, style, and safety, and our pledge to sustainability is instilled at every level of the company and at every step in the manufacturing process. Our translucent wall systems range in scale, from punched openings to full building facades. These systems are available in a variety of glazing color options and provide excellent thermal performance, with a standard u-value of 0.23 center-of-glazing. All systems are fully tested and certified to meet building and energy code requirements, and can be adapted to achieve project-specific performance goals. 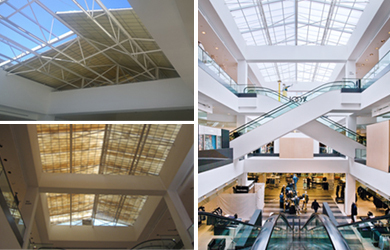 CPI Daylighting offers a wide variety of skylight options, ranging in scale from small and simple to monumental and complex. While our skylights are available in a variety of standard shapes, including vaults, ridges, single slopes, pyramids, polygons, and domes, we often work with architects on custom configurations. Choose from a variety of glazing colors, each providing an even distribution of glare-free, diffused light. Our systems achieve a standard u-value of 0.23 center-of-glazing, they do not rely on adhesives or sealants, and are designed with an integrated weeping system for water management. 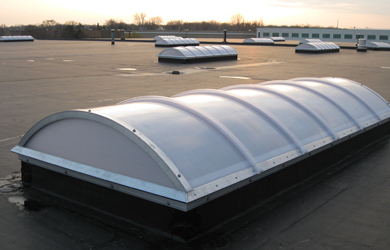 We offer pre-assembled and pre-engineered unit skylights that present the industry's best ratio of insulation to light transmission, which is double the insulation of traditional acrylic unit skylights, for effective and economical energy performance. 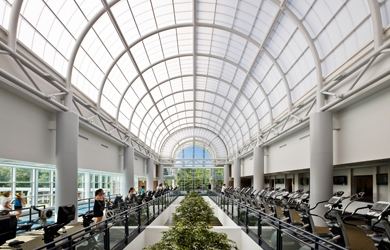 We are a single-source provider of BriteWay™ translucent canopies, offering flexible design options that include both pre-engineered and customized systems from the ground up. BriteWay canopies utilize a translucent glazing cover, creating a comfortable and well-lit walkway. Our IntelaSun® dynamic shading system is designed for both skylight and translucent wall applications. The system's ability to control light transmission levels allows for lower peak load demands and improved building energy efficiency, resulting in predictable energy consumption and associated cost savings. CPI Daylighting provides a wide range of simple and effective turn-key renovation and retrofit solutions designed to reglaze, overglaze, or replace existing systems - fiberglass, acrylic, and glass - that have discolored and are under-performing, or are in need of repair due to damage or deterioration.